SANTIAGO, July 6 (Reuters) – Labor negotiations at BHP Billiton Plc Escondida copper mine in Chile, the world's largest, are entering into the final three weeks before a 30-month contract expires at the end of July. The closely watched talks come little more than one year after failure to reach a labor deal at the sprawling deposit led to a 44-day strike that jolted the global copper market. BHP and the union have reached agreement on about one-fifth of the "points of interest," raised by either party, according to an internal union document seen by Reuters that summarized progress in negotiations during the month of June. The union filed its demands with the company on June 1. The proposals include a one-time bonus equivalent to 4 percent of dividends distributed to shareholders in 2017, or between approximately $34,000 and $40,000 per worker, depending on the exchange rate and other factors. The union also requested a 5 percent increase in workers' salaries. BHP´s initial response on June 11 made no mention of either salary adjustments or the signing bonus. A Reuters point-by-point review of sticking points suggested the two parties were yet to reach a consensus in several areas. Carlos Allendes, a union official, confirmed to Reuters that they were "far from agreement" and accused BHP of "stubbornness." Patricio Vilaplana, Escondida's vice president for corporate affairs, told reporters on Thursday the company was "calm" about the negotiations and the union has shown "good faith" at the negotiating table. What are the key points of Contention? According to a progress update seen by Reuters that included BHP´s proposals and the union response, the main bones of contention are: The main bones of contention. * NEW HEALTHCARE PLAN: BHP wants to bid out its existing healthcare plan. The union wants coverage guarantees in writing and to take part in bidding. * CONTRACT BENEFITS: The company wants to extend benefits and the signing bonus to non-unionized workers. The union called some of the changes "discriminatory." * GOOD PRACTICE BONUSES: BHP has proposed changes to "operational practice" standards that earn workers a daily bonus for good behavior. * PRODUCTION GOAL BONUS: BHP has raised this to $7,700 but also boosted the production goal to 98 percent from 96 percent to 97 percent. The union said the higher goal brought greater risk to workers and to product quality. What's changed since last year's negotiations? Workers last year invoked a legal provision that allowed them to extend their current contract through July 2018, allowing the implementation of a new labor law passed under former center-left Chilean President Michelle Bachelet that allows workers to use existing benefits as the "floor" for current negotiations. Last year's impasse also brought an additional, unexpected benefit to unions: A sharp increase in the price of copper on the London Metal Exchange – more than 50 percent since hitting a nine-year low in 2016. The price hike prompted the union to kick off negotiations with demands that included a bonus of up to $40,000. In recent weeks however, the U.S.-China trade dispute has reversed the trend, sending the copper price to a nine-month low. Allendes said the lows were temporary and would have little bearing on negotiations. Is the risk of a strike prices into copper? Kash Kamal, a research associate at BMO Capital Markets, told Reuters that amid an "aggressive sell-off" of copper over the past 10 days because of the trade dispute, it remained unclear what impact a strike would have. "Labour negotiations certainly helped support prices in the first half of the year, and the contract talks that have concluded have done so with very little disruption," he said. "However, investors are split down the middle when it comes to Escondida and recent comments from union officials haven’t struck the most positive tone." Is $40,000 bonus a lot? BHP has called the bonus "exaggerated," and said it exceeded even the demands of the union in 2013, with copper prices approaching record highs. BHP has called the bonus "exaggerated." But the generally robust copper price and strengthened labor laws suggest the union has substantial leverage in the ongoing Escondida negotiations. Joaquin Villarino, an industry veteran and head of Consejo Minero, Chile´s mining industry group, said a big bonus could serve to eliminate more permanent benefits that made contracts more expensive and miners less competitive. Will the results of these talks affect other mines? The Escondida talks come halfway through a big year for labor negotiations at Chile´s copper mines, including 19 at top producer Codelco. Though Codelco has thus far avoided strikes, 11 negotiations remain, including at its sprawling El Teniente deposit. 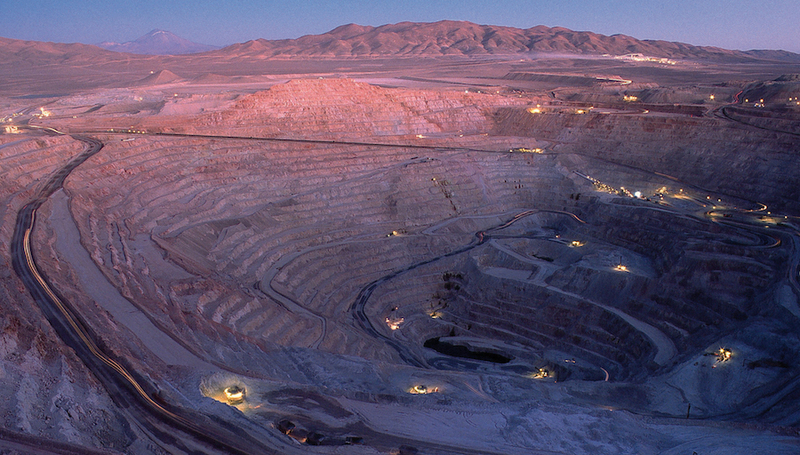 "Outside of Chile, markets aren't taking this into account," said Juan Carlos Guajardo, an analyst with consultancy PlusMining in Santiago, citing recent tensions at Codelco's Salvador and Chuquicamata divisions. "Escondida will be a benchmark. Because of its notoriety, it will influence (upcoming negotiations)." Conversations can continue until July 24, at which point BHP must present its final offer, according to a negotiation schedule provided by the company. Between July 27 and July 31, the union will vote to either accept the company´s offer or go on strike. After the vote, either party has as many as four days to request a period of government mediation that can last 10 days. If there is no agreement when the mediation process ends, a strike would begin the following business day.